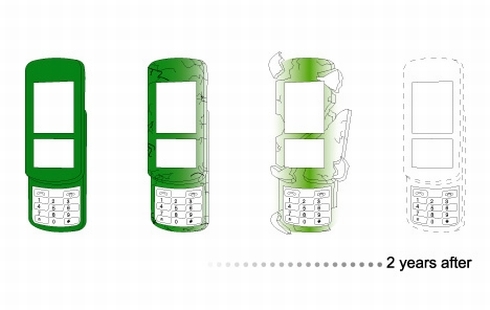 Eco-friendliness is the topic of 2008, so concept phones couldn’t make an exception and skip this trend. This time, we get to check out a “weed phone”, created by Je-Hyun Kim and named the Natural Year Phone. The handset is made out of hay and other biodegradable materials, while the screen and soft keys can be recycled. In 2 years time, the device will become one with Mother Nature, so the idea is quite neat and the handset’s design is also quite interesting, provided that you don’t smoke near it. Previous articleSamsung Memoir, The American Pixon?